Where can I buy British made socks? Here are the places I know of, in no particular order, where you can buy UK made socks and information about British sock makers. 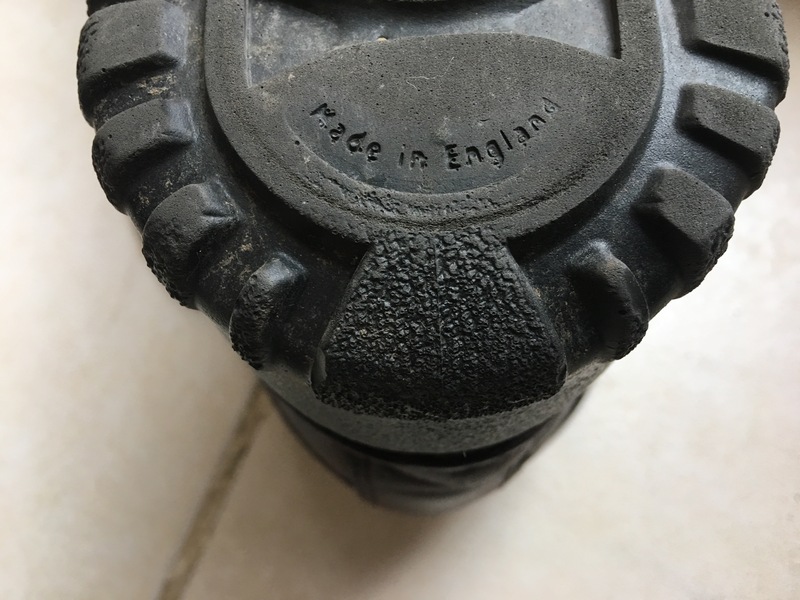 This entry was posted in Bison Bushcraft, British Made Socks, Clothing, Corgi Hosiery, Hosiery, John Arbon Textiles, Outdoor Gear, RAB Socks, Socks and tagged 1000 Mile, All Sox Ltd, Alpkit, Beaufort and Blake, Billy Ruffian, Bison Bushcraft, Blighty’s Emporium, Brasher, Brewin's Socks, Bridgedale Socks, British made hosiery, British made socks, British socks, Burrows, Calm Leisure, Cambrian Woollen Mill, Cordings, Corgi Hosiery, Corrymoor Socks, Coxmoore, Cuffs and Co, Dr Martens, Draper of Glastonbury, Duffle Coats UK, Evercreatures, F.J. Bamkin & Son, Finisterre, Goldtop, Herring Shoes, HJ Hall, House of Cheviot, J Alex Swift, J Alex Swift socks, John Arbon Textiles, Johnstons of Elgin, Karrimor, Legwear International, Made in England, Made in Wales, Murdock, Pantherella, Pennine Socks, Perilla, Purdey, RAB Socks, Rampant Sporting, Richard James, Roy Lowe and Sons, Roy's Boys, Samson Socks, Scott Nichol, Sealskinz, Shackleton, Sock and Trotter, Sock Club London, Sock Shop, Socks by Swift, Sole Provider Socks, Sub Zero, Tejay, TenderFoot, The Eagle Sock Company, The Sock Mine, Titus Alpacas, Turner and Sons, Turners Hosiers, UK Made, UK made socks, ukmade, W. Brewin & Company, wool on September 25, 2012 by ukmade.